Do you love Halloween every day of the year? Does total comfort and style mean black and orange and pumpkin everything? Then you need to snuggle up to a pumpkin pail pillow for a warm Halloween hug! 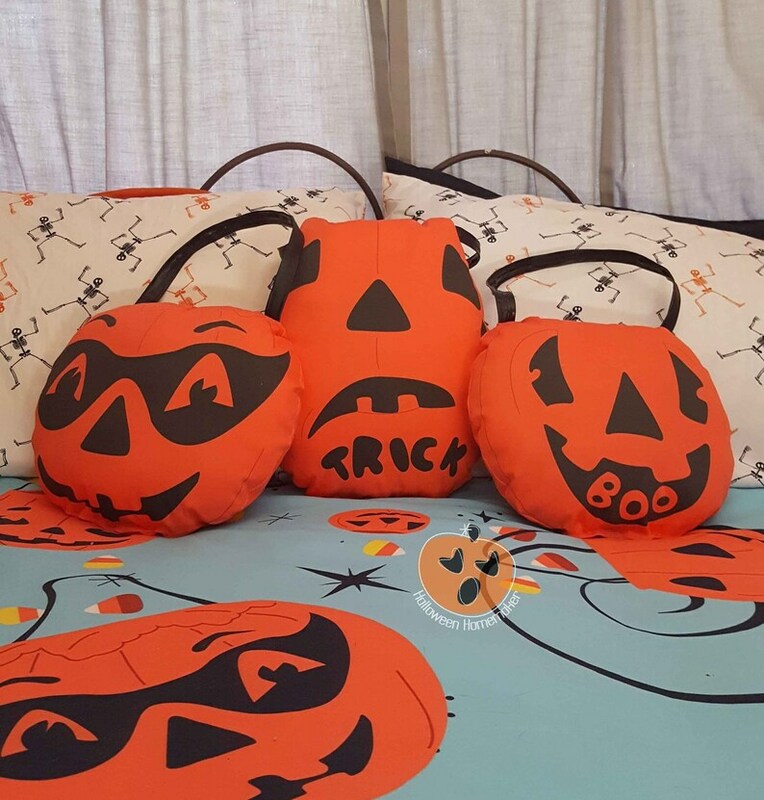 These decorative pillows are based on vintage pumpkin trick or treat pails complete with vinyl handles! Made from a high quality cotton twill fabric, designed and printed in the United States, these pillows are guaranteed to improve the radness level of your home by 6000%! My 3 cat CEOs think the best way to accessorize these is with cat hair. I'll do my best to keep them from leaving their mark, but they live here and it's like glitter- everywhere and forever.